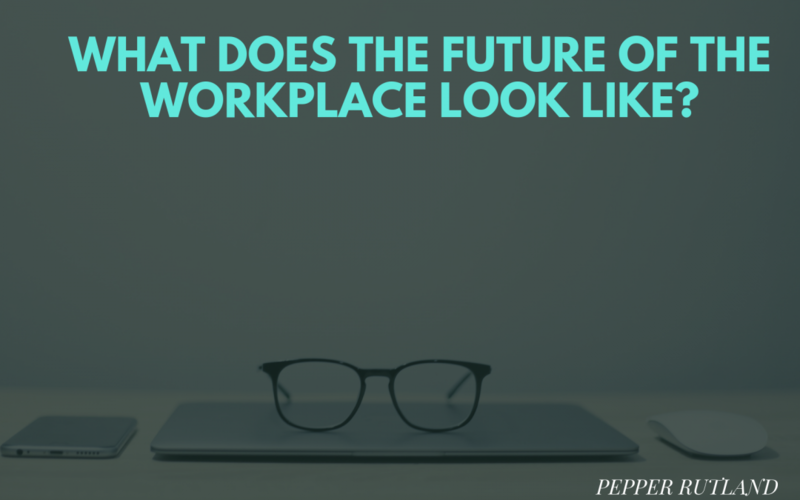 Pepper Rutland, MMR Group, Asks: What Does the Future of the Workplace Look Like? With the rapid advancement of technology in the past few years, the workplace has seen many changes. More employees are able to work remotely, AI communications are part of everyday life and with all of this technology, people are actively seeking out human connections. In 2019, you will notice even more of this in the workplace. As we enter 2019, expect to see even more people working remotely. Businesses are realizing the many benefits of allowing their employees to work remotely. Employees report feeling more flexible, more comfortable and closer to their family when able to work remotely. There are also benefits for the environment and even lower food costs for the employee as they are typically working out of their home. As far as businesses, the benefits are plenty as well. According to Forbes, remote working is low-hanging fruit for many organizations that can quickly shed the high cost of office space. Watch for more and more businesses to begin to implement remote working in the coming year. Throughout 2018 and even earlier, employees have been interacting with artificial intelligence on a daily basis, both personally and professionally. Many of the alerts you recieve on your phone are from AI, your Netflix feed and more. But as we move in 2019, artificial intelligence will become an even larger aspect of day to day life in the office. Businesses will begin determining where they can use AI to benefit the company as a whole. They can choose from robotic process automation, which supports basic and repetitive human tasks; cognitive automation, which supports a higher level of mental work than RPA; or social robotics, which is designed to interact with humans. With the onslaught of technology, more and more employees report feeling lonely as they work remotely or in the office. People are sending virtual messages rather than having face to face conversations. Due to the nature of the workplace in 2019, people will need to make an effort to seek out meaningful connections, both in and out of the office. This may be through work-sponsored events or simply meeting a friend for dinner. Whatever the case, look for people to be more intentional about making human connections in 2019. Technology has made an impact worldwide. One of the places where people note the most changes is in the workplace. In 2019, look for the flexibility to work from home, more AI communication and more people actively seeking out human connections. Pepper Rutland is a leader of the MMR Group, which has become America’s largest open shop electrical and instrumentation firm, and he is also a founding member and Vice President of the Baton Rouge-based nonprofit, Miracle League at Cypress Mounds. The Miracle League provides opportunities for children with disabilities to play baseball and experience what it means to be a part of a team environment through an organized league effort. Pepper Rutland founded MMR Group in 1991 and the company has been building on a tradition of success through its dedication to excellence in electrical and instrumentation construction, maintenance and technical services since day one. In fact, Engineering News-Record (ENR) consistently places MMR Group at the top of its list of speciality contractors in the nation. Additionally, ENR of Texas and Louisiana gave MMR Group the title of Specialty Contractor of the Year. This honor was given largely due to MMR’s impressive 132% increase in revenue from 2011 and 2012. Would You Love Your Job More if You Worked From Home?